If I was buying today this is what I'd get. Ah Canada the land of cheap trucks you never fail to impress me. 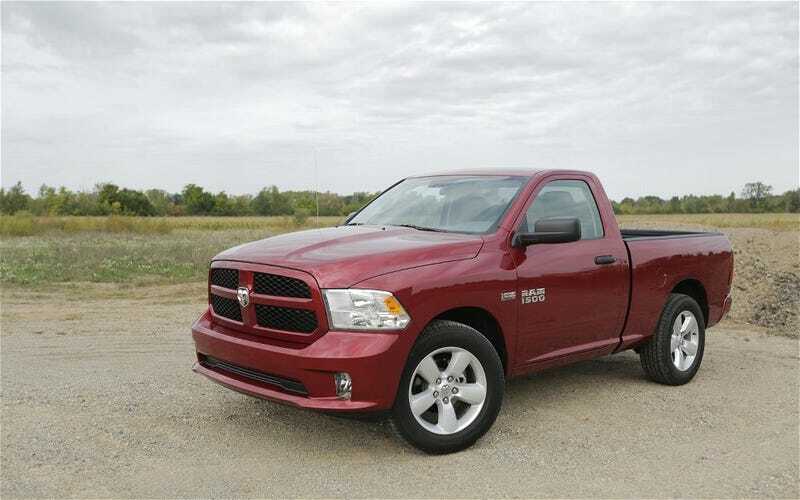 A Ram 1500 Express 2WD Hemi exactly as pictured is with current rebates is $21,220 CAD ($18,265 USD) before destination and taxes. Out the door price BEFORE haggling is only $24,076 CAD ($20,724 USD) and it wouldn't be all that impossible to haggle another $1500-$2000 off that price. Why are Trucks so Much Cheaper in Canada than in the USA? A 395HP V8 for 24K!!! How can you possibly go wrong at that price? If that's not cheap HP I don't know what is. If you really want to be frugal you can go for the absolute base model(base model in canada gets 395HP Hemi) and save another $1000.00 but you will get 17" steel wheels and unpainted bumpers/grill and you could also have to give up the deep cherry red paint for another $225.00 in savings.